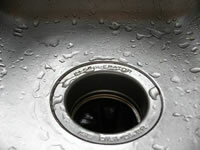 Clogs & Stoppages - Clogged toilets and sink drains can be caused by a number of things. From items accidentally dropped in toilets to hair and other debris caught in sink P-traps. Many times a simple clog can be fixed without calling in a plumbing or an Apex drain cleaning company. However, some stoppages do require the help of an experienced professional. If you’ve done everything you know how to do and still the clog remains, give us a call today at (919) 740-2036 for our Cary plumbing office or (919) 466-1587 for our Apex NC office!